Indie Data: own your digital self. 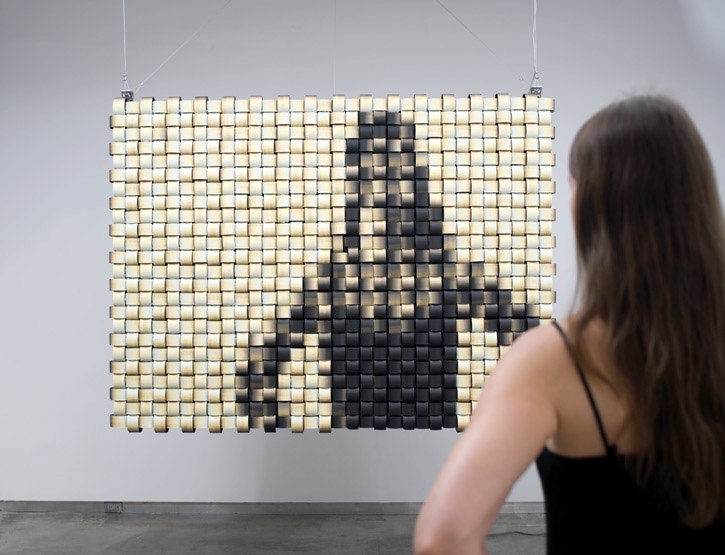 Photo courtesy Daniel Rozin (Weave Mirror, 2007). In this system, our information (our data) — who we are, what we do, who we interact with, where we are, etc. — is raw material. Most users of technology today either willingly or unknowingly have their raw materials mined by corporate entities. These companies add value by deriving intelligence from these raw materials and procure revenue by selling services based on that intelligence if not the data itself. We call the combination of data, tools, and derived intelligence the digital self. If we are to maintain our hard‐won civil liberties and human rights in such a world, it is of utmost importance that we (individuals), and not faceless corporate entities, own our data. However, owning our own data — the raw materials — is not enough, we must also own the tools that enable us to create, operate upon, and share that data. If we do not also own the tools, we can be limited in capturing and gathering new data as well as manipulating and sharing our data to communicate with others. In addition to owning our data and tools, we must also own any profiles and other intelligence that is derived from our data through the use of such tools. We call the combination of data, tools, and derived intelligence the digital self. The Indie Data initiative exists to empower you to own your digital self. Data, tools, and derived intelligence. The three elements of your digital self. To enable individuals to own their digital selves, we must create open tools that empower people to create, gather, store, manipulate, derive intelligence from, and share their data. For these tools to achieve mainstream adoption, we must make them empowering, beautiful, seamless, experiences. These experiences must compete successfully in the consumer market with the best experiences available from closed vendors like Google, Facebook, and Apple. To build the products that realise the mission of Indie Data, we must combine experience design with open source to create a new category of technology: Experience‐driven Open (XO). It is possible to create open tools that still use, or drive people to use, closed silos. Indie Data tools must be open source so that users can run them themselves if they want to. This is to ensure that individuals always have access to not just their data but also to the means by which that data is gathered, maintained, operated upon, and shared. The tools being open source, by itself, however, is not enough. It is possible to create open tools that still use, or drive people to use, closed silos. For example, consider an open source Facebook client: even though the client itself is open source, your data is still kept in a closed silo. As another example, consider Google Mail running on a Firefox OS phone. Even though Firefox OS itself is open source, it will still encourage people to use closed silos as it doesn’t seamlessly provide any indie alternatives. Even if you create a product that is both open and empowers you to own your own data, it is not worth much if it is rejected by mainstream users because of its lacklustre user experience. For indie products to compete on user experience in the consumer space and achieve mainstream adoption, we must adopt design‐led/experience‐driven development processes. Unfortunately, even the suggestion of an autocratic, design‐led process is tantamount to heresy in today’s mainstream open source culture which favours democratic decision making and delegating decisions to the user over adopting design‐led development processes and implementing intelligent, intuitive, and beautiful defaults. I propose that we adopt the term Experience‐driven Open (XO) to describe the category of technology where design‐led/experience‐driven development processes are used to develop open products for the consumer market. Experience‐driven Open Technology: paving the road to Indie Data. I look forward to hearing your thoughts and to your support on Twitter, ADN, via email, or in your own posts. For the moment, indiedata.org will lead you to this post. My immediate goal is to evolve it into its own site with a showcase of current projects that are compatible with the Indie Data manifesto as outlined in this post. It might then make sense to formalise this into an Indie Data Institute/Foundation and form an Indie Data Consortium alongside other like‐minded individuals and companies. I also want to create a mechanism by which we can support indie initiatives (including my own, Codename Prometheus).